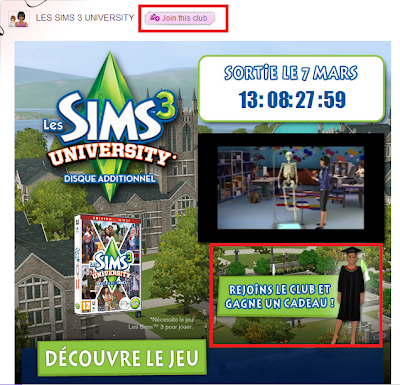 If you are from France, just click >>HERE<<, join the club, and then invite a friend to join the club and visit the official SIMS website to receive all the gifts. www.stardoll.com/en/clubs/home.php?id=4220969 join the club to receive the graduation outfit. To receive the pool, you only have to invite 1 friend to join the club, but YOU NEED TO HAVE AT LEAST 1 FRIEND FROM FRANCE in your friends list. To receive the white dress just click on the link at the club to be redirected to the official SIMS website, and done. BUT YOU CANNOT RECEIVE the pool with the webproxy, ok?